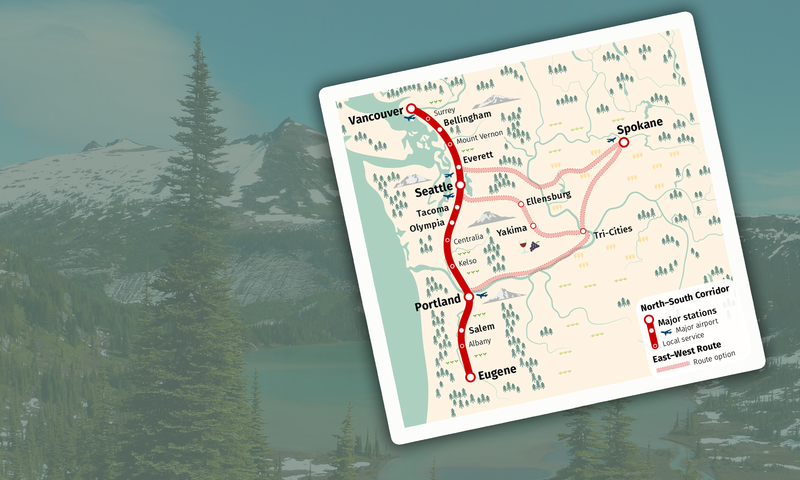 Cascadia Rail congratulates the Washington Legislature and the governor for funding further study of true high-speed rail connecting the Pacific Northwest. In the final day of the 2018 session, the legislature appropriated $750,000 (summing to $1.2 million if potential local matching funds are included) for further analysis of ridership, possible alignments and economic benefits of the alignment. This new funding brings the dream of fast, effortless regional travel one step closer to reality, though additional funding partners may be needed to complete a study that is truly investment grade. The enabling legislation requires the study to be completed by June 2019. Cascadia Rail is a grassroots, Seattle-based organization with a vision for fast, effortless regional travel between Vancouver, Seattle, Portland and Spokane. For more information, to donate or to volunteer, visit www.cascadiarail.org.